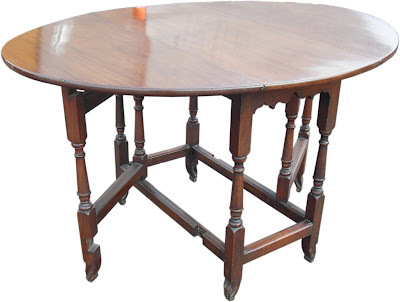 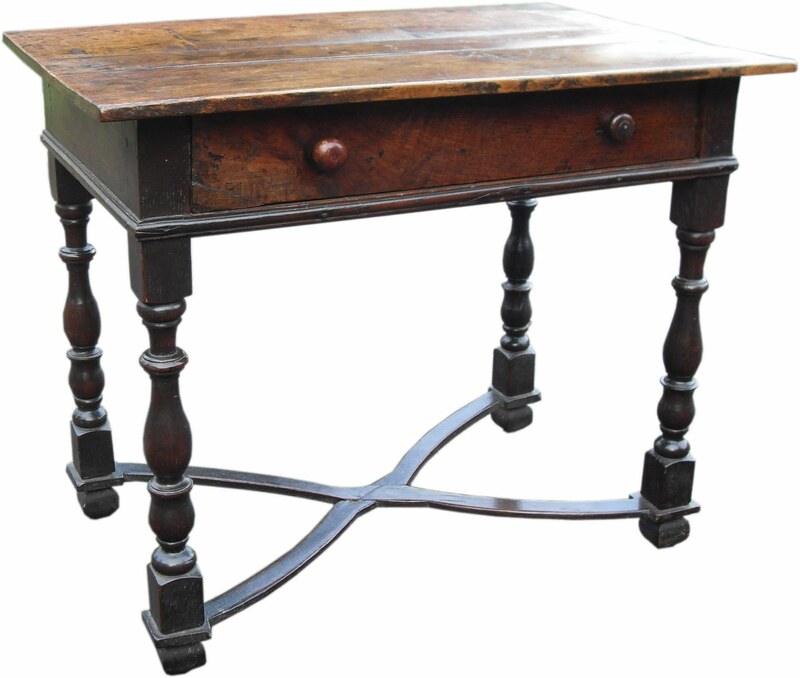 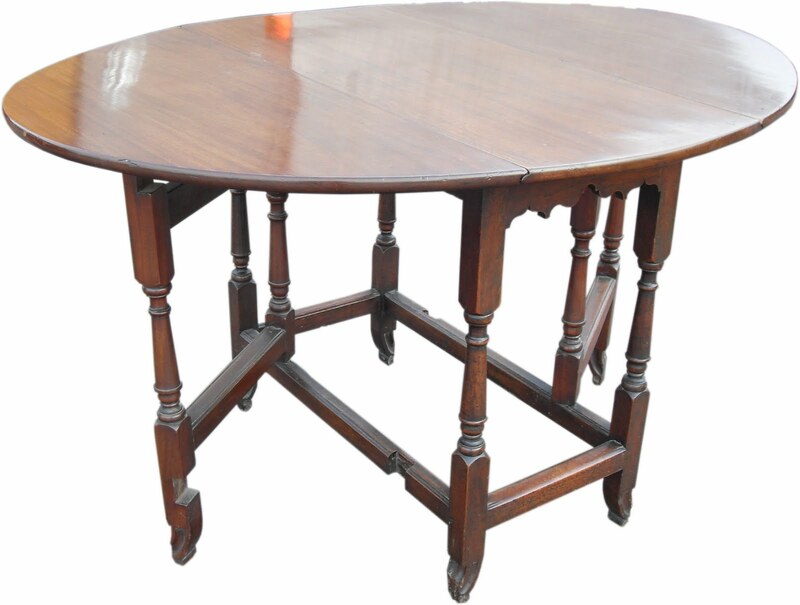 Early 19th C Mahogany gate-leg table, all original with a single drawer and good feet. 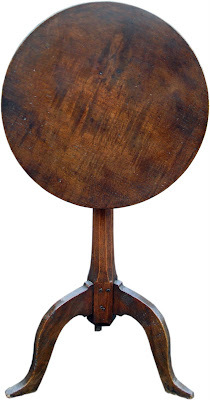 Seats 4-6 people. 49" and 38" across both ways x 28" high. 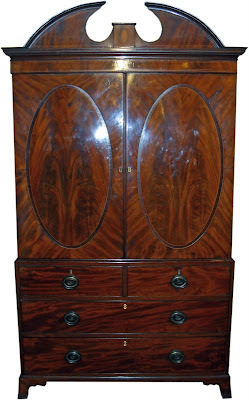 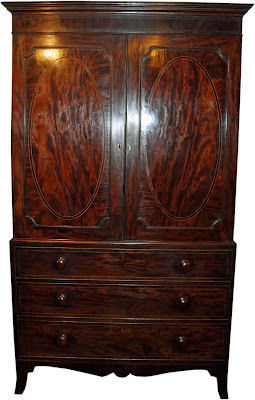 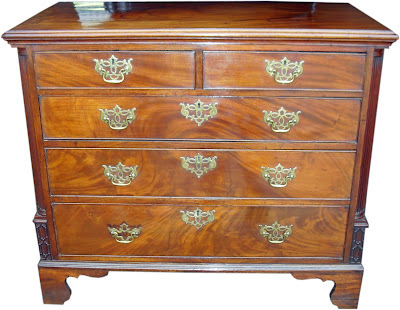 A excellent example of a Chippendale style chest-of-drawers in Mahogany, 1760. A charming Oak sidetable with drawer, 1780-1790 English. 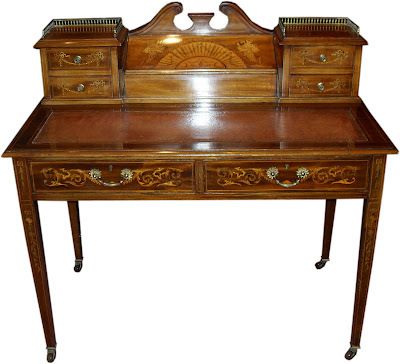 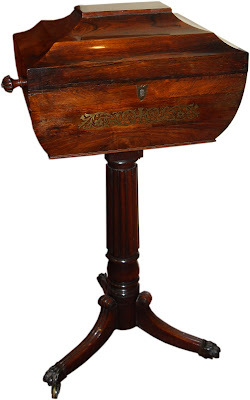 A beautiful and rare Regency 'hat and stick' stand in fine turned Mahogany and Fruitwood. 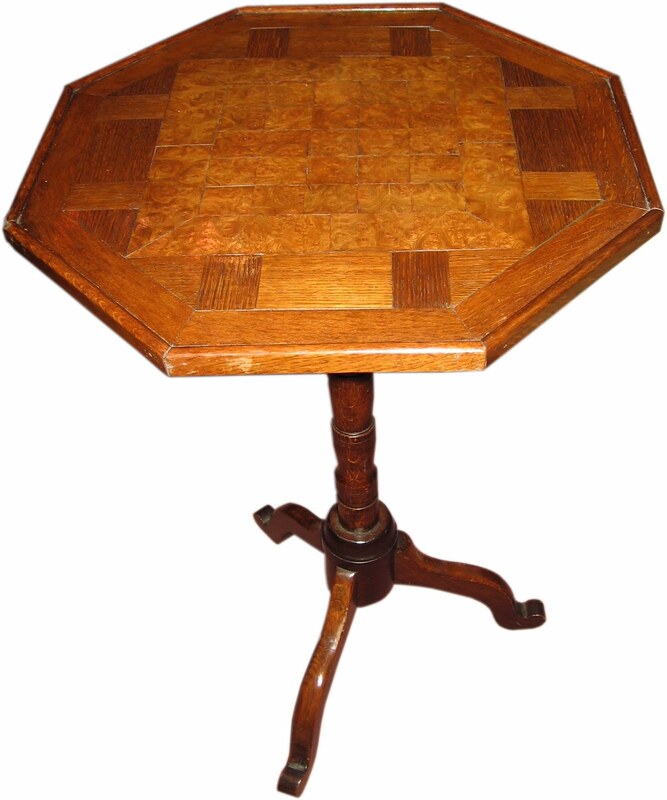 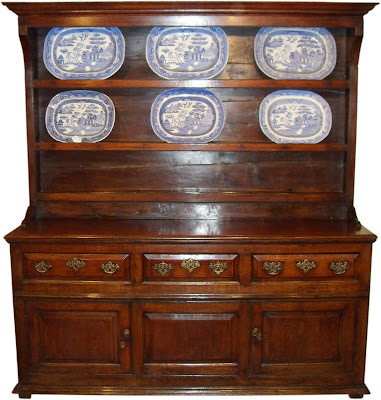 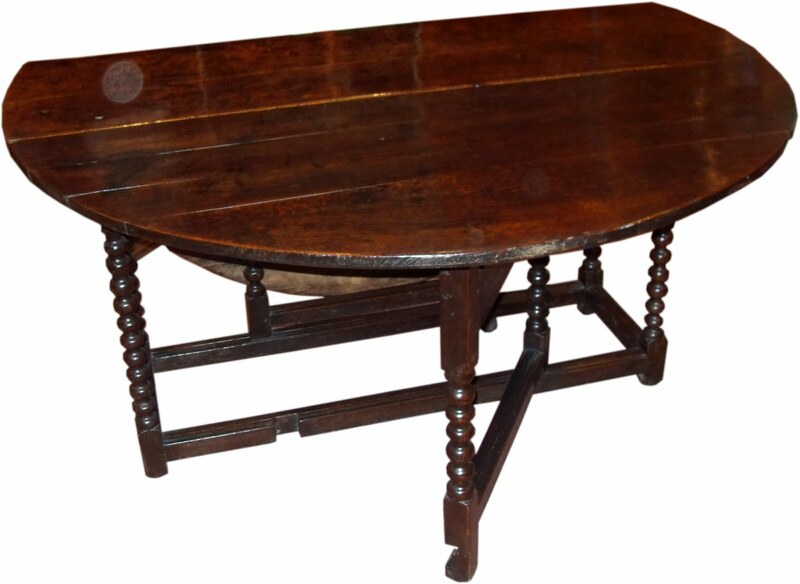 A very fine early 18th C oak tilt-top table.